WASHINGTON -- The top U.S. military officer has designated five U.S. bases where American troops would be housed and isolated for 21 days upon returning from Africa after serving in the Ebola response mission, U.S. officials said Friday. Army Gen. Martin Dempsey, the chairman of the Joint Chiefs of Staff, signed a plan that lists Fort Hood and Fort Bliss, Texas; Fort Bragg, North Carolina; Joint Base Lewis-McChord, Washington; and Joint Base Langley-Eustis, Virginia, as bases where troops would be quarantined. The U.S. also will use two bases in Italy and Germany for returning troops based in that region. Military service members are required to undergo 21 days of isolation and monitoring, while Defense Department civilians can choose to go through the quarantine period or not. The plan exempts military personnel who travel to Africa for short-term visits and have very limited contact with people there, such as military staff traveling with a senior official who only stops in the country for a day or two. Any final decision on individual service members would be up to their senior military commanders, according to officials. The officials spoke on condition of anonymity because they weren't authorized to discuss the plan publicly, pending an announcement by the Pentagon. Rear Adm. John Kirby, the Pentagon press secretary, said Friday that any department civilians who become ill will receive medical treatment at military facilities at no cost. Could doctors use robots to treat Ebola patients? In a related announcement, U.S. Northern Command has decided to train 30 more medical support personnel who will be available to help U.S. hospitals with any future Ebola cases. The personnel will begin training in San Antonio, Texas, later this month and will supplement a 30-member team that has already been trained and is ready to respond. The team is made up of about 20 critical-care nurses, five doctors trained in infectious disease and five trainers who are experts in infectious disease protocols. They would be dispatched to help provide medical care at U.S. hospitals if additional staff is needed. Defense Secretary Chuck Hagel approved the 21-day isolation period for U.S. troops late last month, but gave military leaders 15 days to provide him with a full plan on how the quarantines would be implemented. 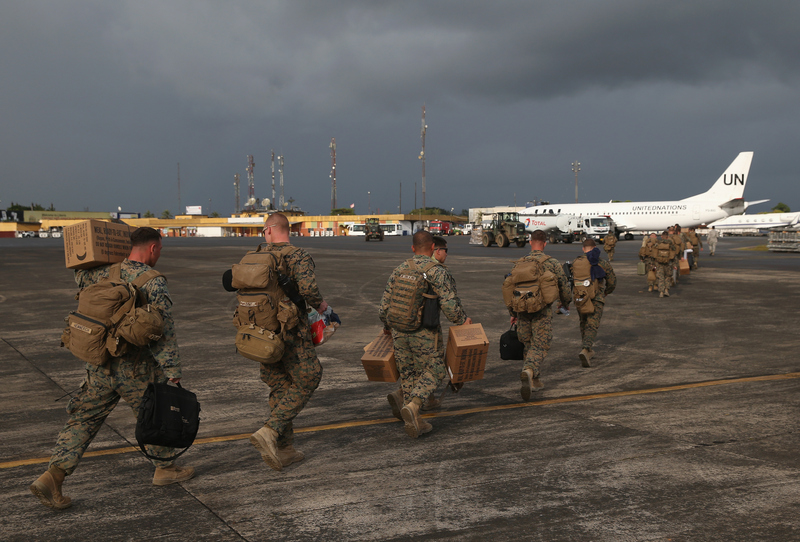 There are close to 1,800 U.S. troops in Liberia and Senegal for the Ebola mission, along with almost 100 contractors and nearly 60 Defense Department civilians. Maj. Gen. Darryl A. Williams, the former commander in charge of the U.S. response in Liberia, was placed in isolation in Vicenza, Italy, along with a number of his troops and staff when they returned from their deployment to West Africa late last month. None had any signs of Ebola. The Army Chief of Staff, Gen. Ray Odierno, directed that all soldiers returning from Africa go through a 21-day isolation period. Shortly after his decision, military leaders recommended that all U.S. troops follow the same procedure, and Hagel agreed. Officials have said the difference reflect the facts that troops are in West Africa in greater numbers, for longer periods of time and are not there by choice. They also said they took into account concerns among family members and the communities from which the troops are deploying.